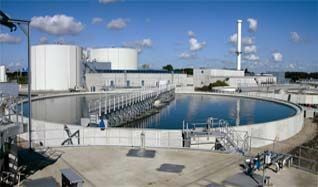 Water treatment is any process that makes water more acceptable for a specific end-use. The end use may be drinking, industrial water supply, irrigation, river flow maintenance, water recreation or many other uses, including being safely returned to the environment. Water treatment removes contaminants and undesirable components or reduces their concentration so that the water becomes fit for its desired end-use. 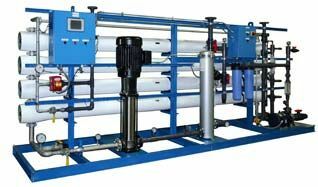 Water treatment plants produce drinking water for public consumption or "industrial water" for manufacturing or other business operations as per their requirements. Treatment often involves some combinations of Filtering out sediments and disease-causing organisms. Chemical treatment to remove excess minerals, undesirable features, and other contaminants. Water management involves in optimizing the use of water and minimizing the environmental impact of water use on the natural environment. Optimum use of water covers both the conservation and the efficiency. At present, inefficiently and inappropriately, insignificant use of potable water is evident in many construction projects in Sri Lanka. The construction industry is, therefore, having a responsibility for sustaining the water resources. Although the construction industry is more concerned about resource efficiency and sustainable concepts, water management practice is yet to receive its due recognition. It was found that with regard to sustainable use of water resource in the construction industry, water management aspects should be clearly addressed from the early stages, such as designing and tendering stages of a construction project.